Anthony Daly is one of the most respected and dynamic hurlers and managers of his generation. He has enjoyed success as captain of the senior Clare hurling team throughout the 1990s, and more recently as manager of the Clare and Dublin teams respectively. His playing career saw him winning two senior All-Ireland medals, three Munster provincial medals, and three All-Star awards. At club level, he holds five county club medals for Clarecastle, and a provincial medal in 1997. Daly managed the Clare senior team from 2003 to 2006, and was manager of the Dublin team from 2008 until 2014, culminating in Dublin winning the Leinster Senior Hurling Championship in 2013, for the first time in 52 years. 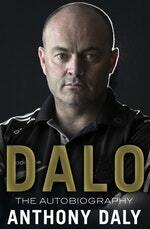 Be the first to find out about Anthony Daly.